When it comes to starters, the one people are most familiar with, goes by the affectionate name of Herman or a Friendship Starter. Herman gained it's fame in the 70's and was mostly used to make Herman cake and Friendship bread. It was also used to make biscuits and many other sweet treats. Herman quickly became a staple in most everyone's home. This wonderful starter had a tendency (as most starters do) to grow to an inordinate size, when not constantly cooked with, and therefore needed to be thrown out or given away. 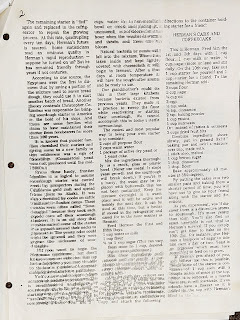 It became somewhat of a tradition to give excess starter to neighbors, friends and family to share the magic and delight of having Herman in their home. 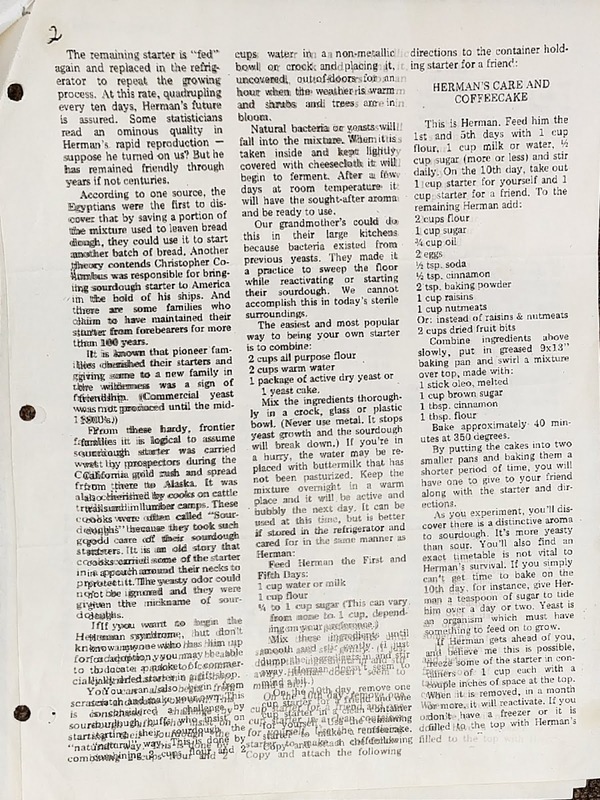 Now, unlike a regular Sourdough Starter (only containing water and flour) the Herman uses dry active yeast, sugar, flour and water. It appeared more convenient, do to dry yeasts quick acting nature. In reality though a plain old flour and water is almost as quick acting and needn't the extra ingredients. I have enjoyed finding out more about this Herman friend of so many and delving farther into the word of Sourdough. 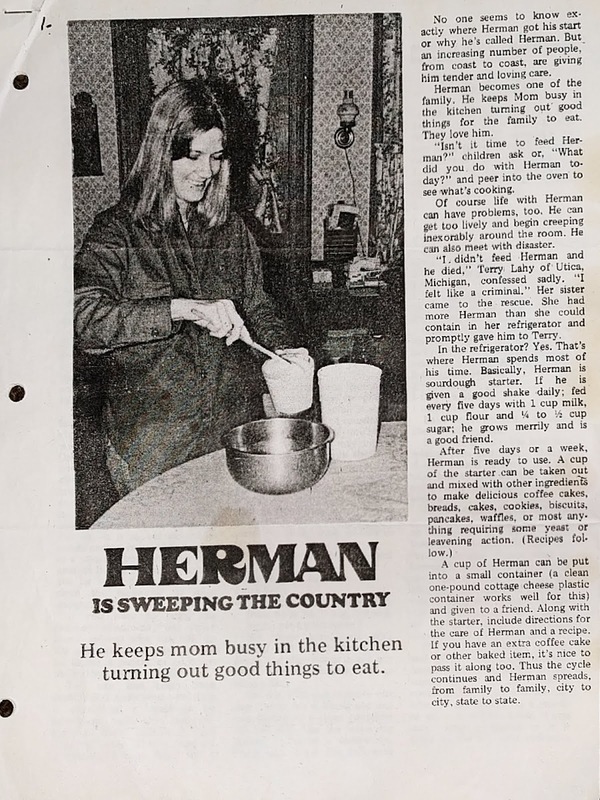 Here are a couple clippings from a article my grandmother had about Herman.